← What Can You Expect from a Pharmacy? Did you know that one big factor that hastens your skin’s aging is being constantly exposed to the sun? Thus, it is essential to have yourself protected from sun damage so you can always maintain a healthy, youthful, and glowing skin. This can be achieved when you are going to understand how SPF and sunscreens work. You might have noticed that there are different sunscreens which are available at St. Mary Pharmacy, and they come with varying numbers of SPF. Well, SPF stands for sun protection factor, and it is a measurement that helps you understand the capacity of the sunscreen to protect you from the sun’s UV rays. The bigger the SPF number in the sunscreen means the more protection that you’ll get from it. To make it simple, the SPF can give you the chemical protection by creating a thin layer of film on your skin so that the UV radiation are filtered before even penetrating through the epidermis. It is suggested by most dermatologists to use sunscreens that are broad-spectrum. It should be your habit to apply sunscreen every single day because these products can be easily bought at a Pharmacy in Palm Harbor. Even if the sky is overcast, even if the sun is not excruciatingly hot as the summer season, you still need to regularly put on sunscreen and shield your skin in a regular basis so as to ensure that you are protected from any forms of damage. Keep in mind that it’s best to apply the sunscreen in the early morning, and that you need to purchase those that are with SPF 15 as the minimum. However, if you intend to go outside, then you need to apply sunscreen with higher SPF than 15 and then reapply it every 2 hours. Be religious in your application or else you’ll get fine lines, crow’s feet on your face, brown spots, and to dangerous extent, skin cancer. Sunscreens don’t work when you just simply dab a pea size amount and spread it all over your body. What’s recommended is that you use at least 3 ounces or equivalent to one shot glass and apply it all over your body so you can get the right protection from it. When you do this, you will be assured that the zinc or titanium oxides (which are the potent chemicals in most sunscreens) will effectively block any UV radiation that’s going to penetrate your skin. Also, sunscreens’ capacity to protect you lessens when you’re constantly in the water. Thus, it is imperative to reapply every once in a while to be assured of utmost protection. As much as you’d like to sunbathe and get those tans, you need to remind yourself to do it the healthy way. Keep in mind to wear sunscreens so you are always guaranteed of healthy skin at the end of the day. Remember that wearing sunscreen outside is non-negotiable, and it is a habit you must never forget. 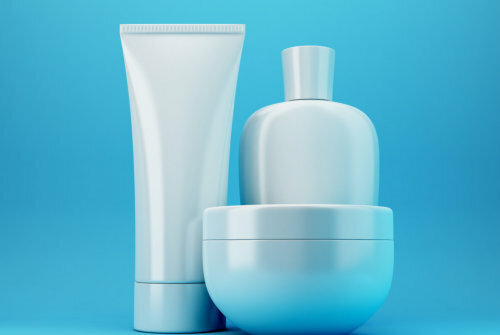 This entry was posted in Pharmacy Services and tagged compounding pharmacy, expectations from a pharmacy, pharmaceutical, pharmacy, Pharmacy care, pharmacy tips, Things You Must Know About Sunscreens. Bookmark the permalink.